Family owned and operated since 1949, Charlie's Roofing is a third-generation roofing company that is among the most trusted in the Tri-State Area. 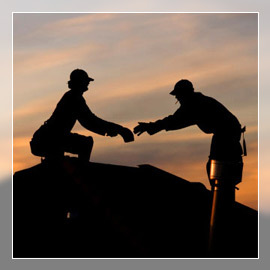 Charlie's Roofing is a reliable, full-service roofing contractor specializing in flat roofing. With quality roofers and a solid reputation, Charlie's Roofing has been providing customers with a wide range of service for over 60 years. Customers have always been our top priority. Call us at 718-475-0240 or 212-330-8804 for a free estimate.